When need AOMEI Partition Assistant? If you are the first time to install system, you may need AOMEI Partition Assistant’s quick partition feature. If you change your HDD to SSD, you may consider migration OS function. In the computer world, the most running operating system is Windows especially in personal computers systems. Mac OS is closed and can only use in Apple computers. Linux is designed for professional people. Windows likes its name, is used window to operate, which is very easy to handle. Windows become mature after decades of development, but it still not stops the improvement. Nowadays, computers become a part of our lives. Either work, study or play, people get in touch of computer machines almost every day, that is to say, they get in touch with Windows every day. Windows is so important that we need optimize it reasonably. AOMEI is the brand name of technology company, and AOMEI Partition Assistant is one of its products. AOMEI company has other software products, such as backup software– AOMEI Backupper, AOMEI PE Builder, AOMEI PXE Boot, AOMEI Image Deploy, AOMEI OneKey Recovery, vrBackupper, MultCloud, etc. From their names, it’s easy to know what they are use for. To put simply, AOMEI Partition Assistant is a third-party Windows partition management tool. You may also guess this from its name, a tool, an assistant of Windows partition. Partition is a part of disk. A hard disk is divided into several partitions to store files and system. The partition used to store system also called system partition, and its label traditionally is C:. A disk has at least one partition if you decide to save all things including system in one partition, it is not safe. So, people usually create several partitions on a disk, and use different partitions to store different files. For example, movies partition, games partition, software partition and so on. If you want to classify partitions in a disk, there are two big parts: system partition and data partition (non-system partition). There are other classification methods and other types of partition, these knowledges you can learn from AOMEI Partition Assistant’s official website. Windows has built-in partition and disk management program, so AOMEI Partition Assistant is a third-party partition software. However, Windows inbuilt partition tool has many limits. For instance, can’t resize partition at will. Take the most popular Windows 7as an example, the extend system partition option is grayed out, can’t move partition, can’t shrink a partition to a minimum and often cause create partition errors. Although compared to Windows XP/2000/2003 Disk Management, Windows 7 Disk Management has much superiority. It is easy to know that only with Windows Disk Management and diskpart.exe, many tasks related to partition are hard to achieve. If you turn to Windows Disk Management alternative – third party partition app like AOMEI Partition Assistant, you will spend less time to achieve the goal. That’s why we need AOMEI Partition Assistant. Professional tools to do professional missions. AOMEI Partition Assistant is a third-party and professional partition solution software which can be used in all Windows operating systems, and its GUI themes always the same. With time goes by, the C drive will be full and expand it with AOMEI Partition Assistant is necessary. It is time to optimize Windows. AOMEI Partition Assistant has several editions. The most used edition is free partition manager AOMEI Partition Assistant Standard Edition, which is for Windows PC. Another free edition is AOMEI Partition Assistant Lite, which is for Windows Server. Other paid editions are AOMEI Partition Assistant Professional, Server, Unlimited and Technician. In recent days, AOMEI released a special edition for GDPR Compliance, as the official page states: This edition is especially designed to comply with EU General Data Protection Regulation (GDPR). It is the unique, absolutely clear yet free partition manager which doesn’t contain any information tracking and/or collecting program. It covers all the features of AOMEI Partition Assistant Standard and can be used in the home and business environments. We think these characters will carry forward to next version. Users choose a software because they take a fancy to its functions. AOMEI Partition Assistant has basic and advance functions related to partition. Following is a screenshot of AOMEI Partition Assistant Standard 7.0’s main interface. You see, there are ten wizards, they are: Extend Partition Wizard, Disk Copy Wizard, Partition Copy Wizard, Migrate OS to SSD, Partition Recovery Wizard, NTFS to FAT32 Converter, Make Bootable Media, Windows To Go Creator, Integrate to Recovery Environment, SSD Secure Erase Wizard. Among them, SSD Secure Erase is a unique feature in AOMEI Partition Assistant and even the first in partition software field. Windows to Go Creator in AOMEI Partition Assistant also came earlier in similar partition software market. You may wonder why under Wizard panel is Disk Operations panel? It is a partition software! In fact, I clicked a disk (either Disk 1 or Disk 2) before, so it shows Disk Operations. If you click any partition, this panel will list partition operations. AOMEI Partition Assistant is not only a partition software, but also a disk tool. You can select a task from disk/partition operations, or from right context menu or disk/partition, or from top menu. There are many entrances to start. Top menu has language settings, AOMEI Partition Assistant supports multiple languages: English, French, German, Chinese, Japanese, Spanish, Italian, Hungarian, Polish, Russian, Dutch, Turkish, Catalan, Vietnam, Portuguese. 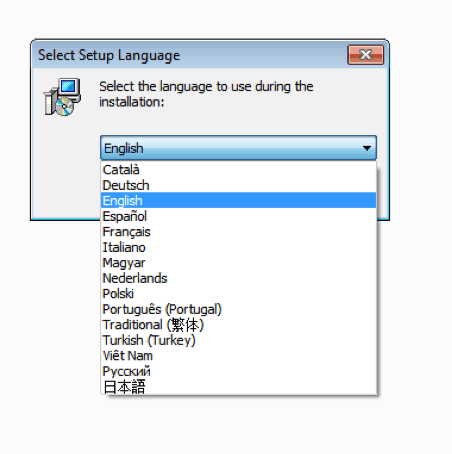 You are able to change languages here or decide a language when installing it. You can see some disk operations from above screenshot, then I would like to tell you some partition operations: resize partition, move partition, merge partition, split partition, copy partition, create partition, delete partition, format partition, wipe partition, change label, allocate free space, hide partition, check partition, partition alignment, convert between logical and primary and so on. You are able to preview changes before committing. What’s more, AOMEI Partition Assistant is reliable and won’t cause data loss. When need AOMEI Partition Assistant? If you are the first time to install system, you may need AOMEI Partition Assistant’s quick partition feature. If you change your HDD to SSD, you may consider migration OS function. If your hard disk’s volume is larger than 2TB, you have to convert MBR to GPT with the help of AOMEI Partition Assistant. In this article, we think now you have initial understanding of AOMEI Partition Assistant. If you want to get deepen understanding or you have requirements just right, hope you could download it try.